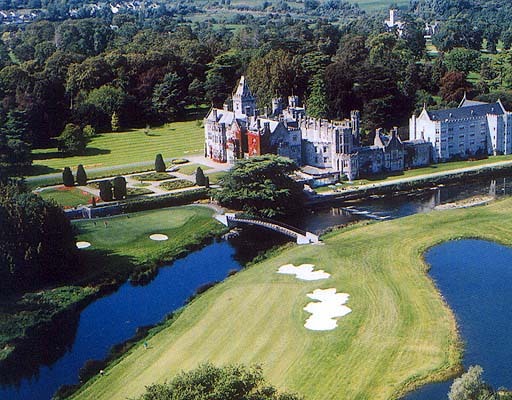 One of Ireland’s leading 5 star luxury hotels, Adare Manor Hotel & Golf Resort is set on a magnificent estate in the heart of the picturesque village of Adare, Co. 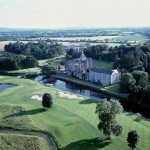 Limerick and just a forty minute from Shannon Airport. The Manor House offers over sixty elegantly decorated bedrooms, with a further village of luxurious villas and town homes a stones throw away. Of course if you happen to disagree with Mr Twain’s view that golf is a good walk spoiled, you will be in good company at one of Ireland’s top golf resorts and home to the JPMcManus Pro-Am Of course if you do find time to venture around the local village, you will be pleasantly surprised as the town of Adare is one of the leading tourist spots steeped in ye olde charm, well enough to keep you distracted just long enough to wonder how long it will take to get you back to your sumptuos manor of earthly delights. Or if you decide to dip into Limerick, you can check out the local theatrics at the renovated Belltable, the award-winning Milk Market and not forgetting 12th century King John’s Castle, dominating the city skyline. Error: Error validating access token: Session has expired on Monday, 22-Apr-19 15:56:05 PDT. The current time is Tuesday, 23-Apr-19 00:58:47 PDT.